I originally had no intentions of trying out this foundation when I saw it in stores. I haven't even tried the original 'Fit Me' Foundation so I didn't have any idea how this would perform. 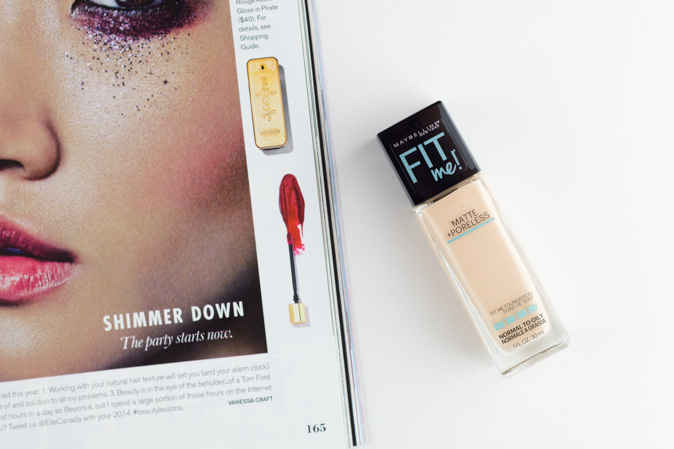 After doing a ton of Google searches, everyone suggested trying the Fit Me because it had a good selection of yellow undertone foundations. So, I swatched a shade of both the original and new Matte + Poreless foundation and loved the finish of the new Matte + Poreless, it was on sale... and now it's in my drawer. The shade I chose was 120 Classic Ivory. There are 12 shades in total and apparently the yellow undertone shades end in 0 whereas the shades that end in 5 are more suitable for neutral/pink undertones (I believe), however I found the 120 to be more neutral orange toned and not yellow undertoned as it is supposed to be. 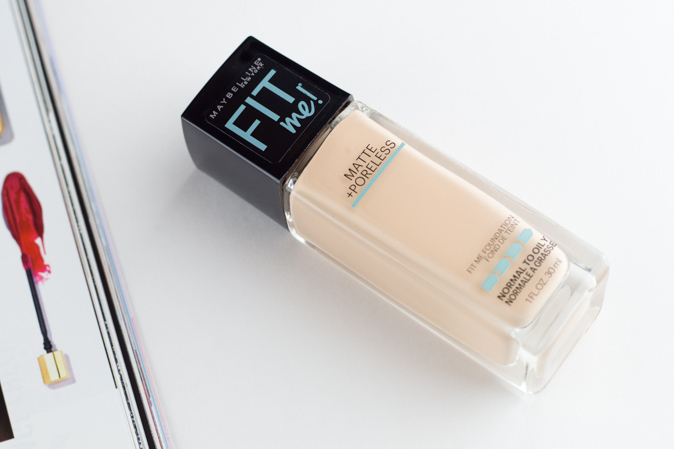 This foundation is an extension of the Fit Me line and designed for oily skin to mattify and erase pores. It is dermatologist and allergy tested. 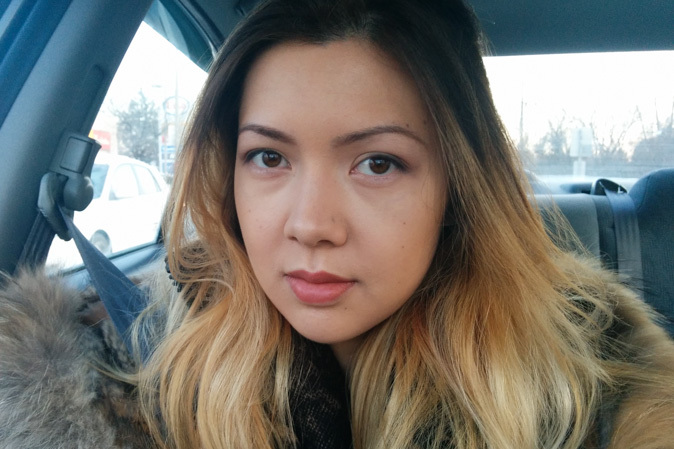 After 8 hours; no primer: Foundation hasn't rolled off my inner cheeks or nose. 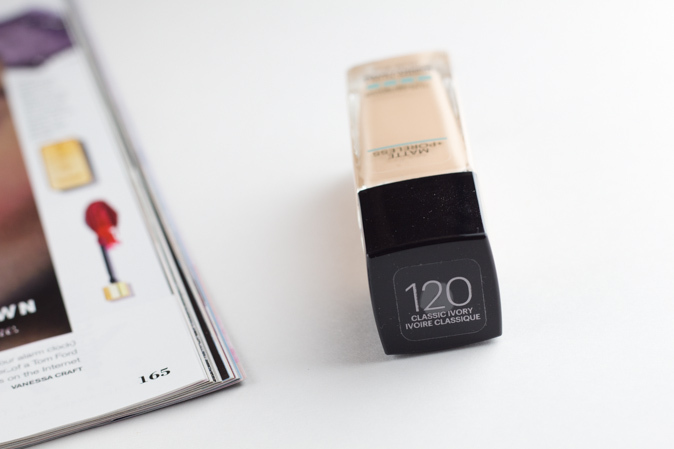 everything seems to be in place and I'm really impressed with the finish and staying power of this foundation. It blends easily and covers decently. Reminds me of my Covergirl Ready Set Gorgeous Foundation however it didn't go over my dry spots and bumps very well at all. There is a bit of a alcohol scent with this foundation. This is probably the least oiliest I've looked from a foundation. I didn't use a setting powder or primer. I did notice the foundation darken a bit at first, but didn't see any oxidization afterwards. I do think I see a bit of redness showing through on my cheeks, but I did only use 1 quick layer of foundation. Doesn't seem to transfer very easily and it is pretty matte. Edit: I do notice that it is better applied with a beauty blender, I think it clung to dry spots more with a brush. Not impressed with the shade range, 120 is a bit too dark and orangey for my skin even though it was suppose to be suitable for yellow undertones. (For reference, I like to think I am an NC20 in MAC) I will definitely be saving this to use for summer sun-kissed/tanned skin. I'd say the coverage is light to medium. It does not have a 'natural' look or finish to it. Does not work well with dry spots or flaky skin. Overall, after testing it for a few days I didn't notice any breakouts, but I will update here if it does affect my skin. I tested this after a bad breakout and it didn't cause any additional skin problems so I am guessing it won't break me out. 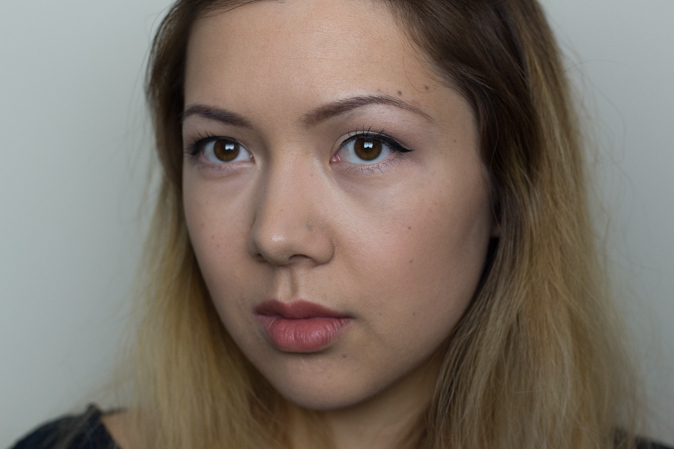 I am in love with the finish and how matte it stayed on my face without a primer or powder. Again, it didn't go over my dry spots/bumps well at all. It is not too thick and doesn't feel heavy on the skin. It is difficult to remove and I'd suggest using a makeup remover before cleansing. 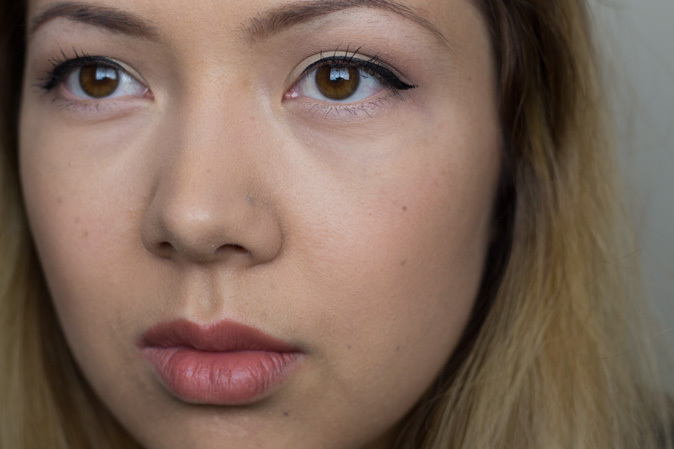 Maybelline Fit Me Matte + Poreless 120 Classic Ivory worn with NYX Hd Concealer in Porcelain under the eyes, Lorac Pro Palette for the eyelids, and Flower Beauty Lip Suede 'Mauve Over' on the lips. I will definitely set this foundation aside for summer because of the fact that it isn't an exact match to my skin right now. I think it will perform better when the weather warms up. I would recommend this to those with oily skin or if you're looking for a long-lasting matte finish. 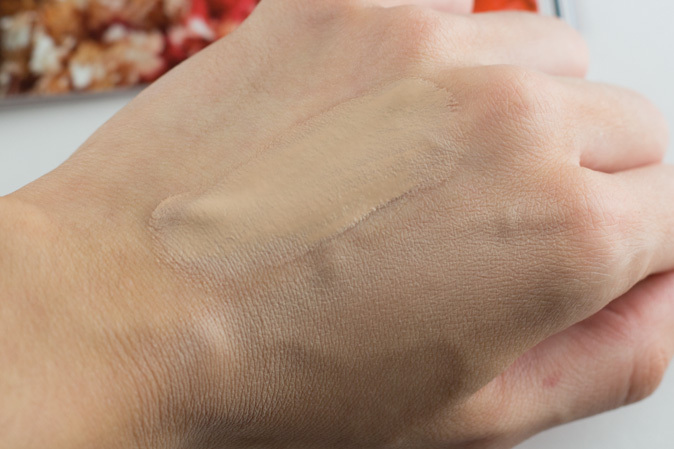 If you have dry skin or dry patches, I'd recommend moisturizing and priming properly first, and/or apply using a damp sponge/Beauty Blender to apply. 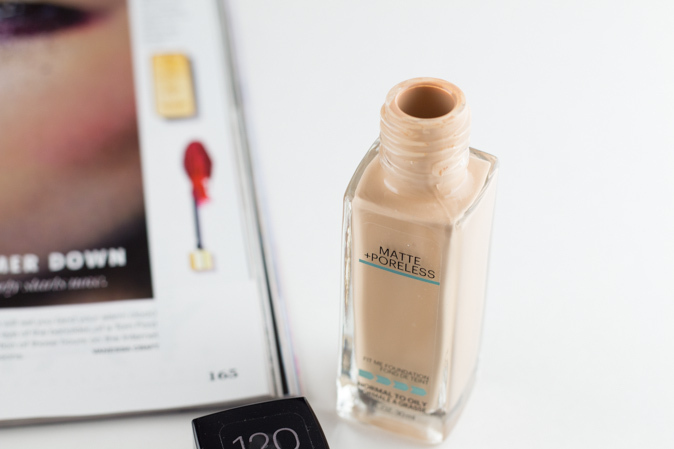 Skip the powder and maybe only use it for touch-ups throughout the day. Actually, I thought I would repurchase it but I don't think I would because it didn't apply well over my dry spots, and there is no shade match for my current skintone. It definitely is a very matte foundation and probably best suitable for oily skin with little to no dry spots/flaky skin. Find it at Ulta (US) for $7.99, Well.ca for $10.99 or your local Walmart or drugstore. I picked mine up at Shoppers Drug Mart on sale for $7-8 CAD I believe.